Our Process Increases Efficiency and Accuracy in Construction. Steve asked us at the time we were signing the building contract to enjoy the process. We tried to embrace that philosophy and we enjoyed it very much. In fact we are a little disappointed we are through. We think that in itself is a testament to the builder. In the end we have a new, beautiful home that we are very proud of, we call it our ‘Final Resting Place. Your design, pre-construction, and construction processes described both in person and on your website were very clear and well-organized. It left us feeling like we knew somewhat what to expect, and was a breath of fresh air compared to what we had experienced with the prior builder we worked with. The quality of construction was also top-notch. 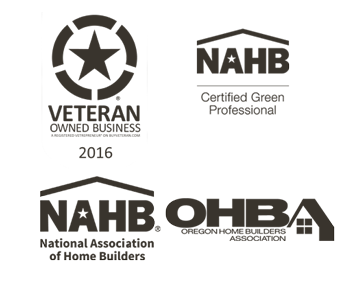 When you work with Sienna Building as your custom home builder, you get the one-on-one expertise of a NAHB Certified Green Professional Builder as the project manager, as well as low overhead costs. We utilize a state of the art planning system to keep our client’s projects updated, on time, and keep them “in the loop” at all times. Having proper planning, process and technology in place allows us to deliver a finished product to our clients faster, at a lower cost yet without sacrificing quality. All project costs are available to our clients anytime with our “open-books” philosophy. 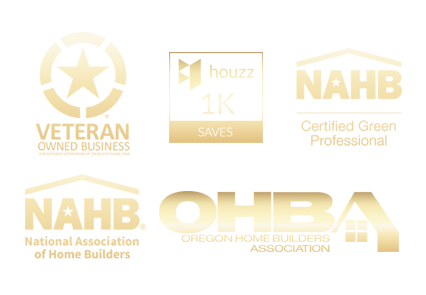 This makes working with Sienna Building an outstanding experience. Interestingly enough, the actual construction is the most predictable part of the entire process because in many ways it is repetitive. The challenges arise in the area of communication, since a custom home requires so many custom features. With Sienna Building we give you access to our online system to keep communication flowing and all of the little details under control, which allows us to have a complete database of your project and increases our efficiency and accuracy in construction.